International, [Tuesday 12th June 2018] - The Roundtable on Sustainable Palm Oil (RSPO) and Ulula have partnered to introduce a simplified and inclusive mechanism to report potential worker’s incidents and abuses, and to monitor employee satisfaction and social investments in oil palm plantations. Palm oil has proven an ingredient of choice for the food, personal care, cleaning, and cosmetics industries, and has brought benefits to its producing countries, thanks to the strong demand driven by the high yield of the oil palm and the versatility of the oil derived from it. This said, the production of industrial agricultural crops, including palm oil, has become a topic of debate due to the historical link to negative social and environmental impacts. The palm oil supply chain today, remains one of the most difficult to monitor due to its complexity. The large scale of oil palm plantations has also proven to be a challenge for the monitoring of labour rights and working conditions, resulting in criticism and demand for industry reform. This is where innovation and the use of non-traditional tools to improve monitoring and accountability come into play. The partnership between RSPO and Ulula has started with a pilot project in the course of an independent field verification related to a complaint case in North Sumatera, aiming to test Ulula’s tool in an oil palm plantation setting for the first time. The tool, which has been made available free of charge through simple feature phones, will enable workers to anonymously submit a complaint in case of any intimidation or retaliation. The workers will also have an option to provide their contact details, allowing the RSPO Secretariat to follow up on cases and direct workers to take a brief survey that assesses the risks of coaching and retaliation. 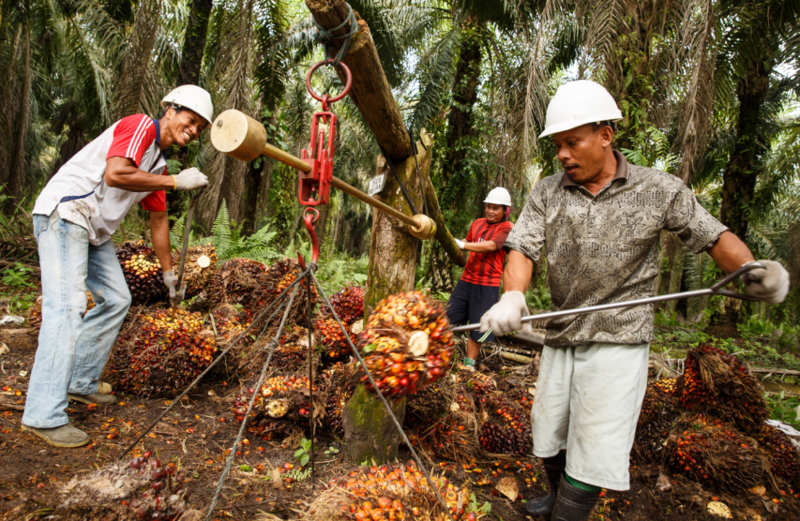 RSPO and Ulula will build on this initial work to create a system that will enable RSPO to better support its members and partners in monitoring labour conditions, and in providing a platform for complaints and feedback directly to the Secretariat. RSPO and Ulula also hope to collaborate closely with growers, traders and third-party actors, to develop a more standardised set of worker engagement tools to support labour management practices and simplify reporting and compliance with RSPO standards. In response to the urgent and pressing global call for sustainably produced palm oil, the Roundtable on Sustainable Palm Oil (RSPO) was formed in 2004 with the objective of promoting the growth and use of sustainable oil palm products through credible global standards and engagement of stakeholders. The seat of the association is in Zurich, Switzerland, while the Secretariat is currently based in Kuala Lumpur with satellite offices in Jakarta, London and Zoetermeer (NL). RSPO is a not-for-profit association that unites stakeholders from seven sectors of the palm oil industry - oil palm growers, palm oil processors or traders, consumer goods manufacturers, retailers, banks and investors, environmental or nature conservation NGOs and social or developmental NGOs - to develop and implement global standards for sustainable palm oil. Such multi-stakeholder representation is mirrored in the governance structure of RSPO such that seats in the Executive Board and project-level Working Groups are fairly allocated to each sector. In this way, RSPO lives out the philosophy of the "roundtable" by giving equal rights to each stakeholder group to bring group-specific agendas to the roundtable, facilitating traditionally adversarial stakeholders and business competitors to work together towards a common objective and make decisions by consensus. Ulula's platform clients can access continuous information on working conditions based on worker driven insights. Its scalable model reaches over 130 countries and leverages local partnerships creating a platform capable of reaching the most rural and vulnerable populations using mobile technology. The solution can be configured on almost any communication channel in any language. Ulula's client list includes some of the world's largest organizations from the food and beverage, garment manufacturing, mining, agriculture, and sustainable certification sectors.